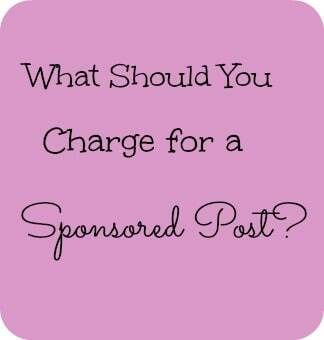 What Should You Charge for a Sponsored Post? Poll Results: How much do you get paid for Sponsored Posts? As you all know, this is Build a Beautiful Blog Week here on Simply Stacie! We not only want the appearance of your blog to be beautiful but we want the GUTS to be great as well! So we’ve tackled some questions that are kicking around out there in blogger land. I have recently connected with Still Blonde after all these YEARS (a blog for Women over 45) and the Chief Blonde and I have agreed to collaborate on a couple of articles to be posted on each of our blogs. This article is a preliminary look at what bloggers are charging for sponsored posts. What extras are included Tweets, Facebook postings, etc. How many of my blogs do I post it to? How relevant is it to my readers? Preliminary results indicate that bloggers are commanding between $2-200 per sponsored post. While the $2 AND the $200 appear to be exceptions, it appears that $15-35 for a short (200 word) 1-2 link post is quite typical, with prices ranging from $30-60 and up, for longer more detailed posts. Some bloggers will keep these paid posts up for one month, some forever. For additional thoughts on this topic, please refer to Still Blonde after all these Year’s article on: What’s A Blogger’s Worth–Mini PR Guide–When or What Should a Blogger be Paid? Please note that I did not share specific blog information from the results of my poll only the $ amounts. All blogs who participating in my poll will remain anonymous. You can also read this post over at Still Blonde After All These Years! Thanks for the info! I can’t wait to see what the poll says! .-= Glenda´s last blog ..Better Homes & Gardens Crossed the Lines with Us Breastfeeding Moms in this Article! =-. Thanks for sharing this info. So many bloggers are afraid to list actual prices and numbers. I keep being told, “just charge what you think your time is worth.” But I just want to know what the market is like. I don’t want to be turned down because my prices are ridiculous. I also don’t want to undercut myself. So, thanks so much for sharing. I’m looking forward to seeing the results of your poll. Thank you for these informative posts this week, Stacie! It is always hard to know what to charge for your time, whether you are a blogger or own your own business – charging what your time is worth is challenging. It helps to know what the going rates are so you can stay in step with others and not over charge nor undercut yourself, as Aubrie said above. Question, when someone reaches out to you to post something for say a movie promo or new event airing on TV, what are the going rates? Same as a sponsired post? It depends. If it just a press release that you don’t have to rewrite and basically just post, I charge $20. Sponsored posts (ie company features, site reviews, etc) are about $40. It all depends how many links they want and number of words. The longer it is, the more $ it will cost. To post a contest, discount, etc, I only charge $10. To host a giveaway, its $30 right now. Wow, I didn’t know one could get paid to post a blog. I never and have about 900 blog followers and 7.800 YouTube subbies.